Media reports say a Chinese national has been killed in an explosion at a hotel in the Somali capital of Mogadishu. A BBC reporter in the city says a Chinese embassy staffer was among the 15 peple known to have been killed in the suicide bomb attack. The blast took place at a luxury hotel in the capital, which accommodates several embassies including those of China, Qatar and Egypt. Xinhua news agency later reported that the Chinese Embassy to Somalia was partially damaged and personnel have been injured. It hasn't confirmed any deaths among the Chinese staff. 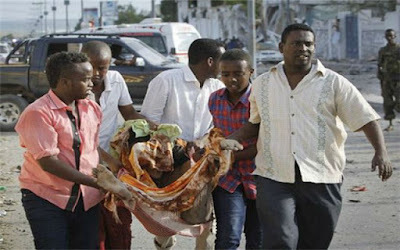 Somalia-based militant group Al-Shabaab has claimed responsibility for the attack.